The Lahore Development Authority has announced that neither of the four churches coming in the route of the Orange Line Metro Train project will be affected as a result of the construction. 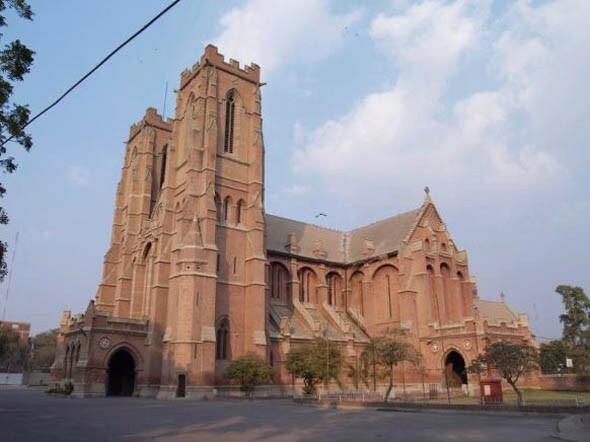 An official handout issued on Wednesday said that the LDA was not acquiring any piece of land for the project nor boundary walls or any other structure of Cathedral Church, The Mall, and Nolakha Church, Nicholson Road. “About 1.5 kanals of open land and 62 meters length of boundary wall of the Saint Andrew’s Church, Nabha Road, will be temporarily used during construction period for underground track in the area. This temporarily used land will be restored to its original condition and boundary wall will also be reconstructed after the completion of construction works. “Almost 10 marlas of open land and 18 meters of boundary wall of Saint Paul’s Presbyterian Church, near Bohar Chowk, will be utilized for the stairs to railway station of the project. Building or any other structure will not be affected by the Orange Line Metro Train Project and the effected boundary wall will be re-constructed,” the statement concluded.